who wants a beauty wedge? recently i was at my neighborhood ulta, a place where it is easy to get lost in all the interesting stuff they have for skin, hair, and body care. i had already picked out my new favorite lipstick and was on the hunt for a new concealer. i found it in the cover girl trublend makeup, shade l6 buff beige, which i am loving more and more the more i use it. it provides great coverage while really blending with my natural skintone. now, that word ‘blending’ is what got me thinking, and i’m glad i stopped myself before heading to the checkout counter. in the past, i would just use my fingertips to apply concealer and foundation whenever i needed it. however, my eyes were caught by the makeup application aisle, conveniently placed on my way to pay. i quickly found a package of beauty wedges, and i’ll easily say that i don’t think there will be any turning back at this point. even though it’s now a beauty expense i didn’t have in the past, these little wedges are still quite affordable. a package of 32 wedges for three bucks isn’t a bad deal, and considering i don’t wear foundation/concealer all the time, they won’t be of daily use. more importantly, though, i’ll be using a clean surface to apply my makeup. i don’t think my hands are overly oily, but anything on my fingers will still transfer to my face when i touch it. 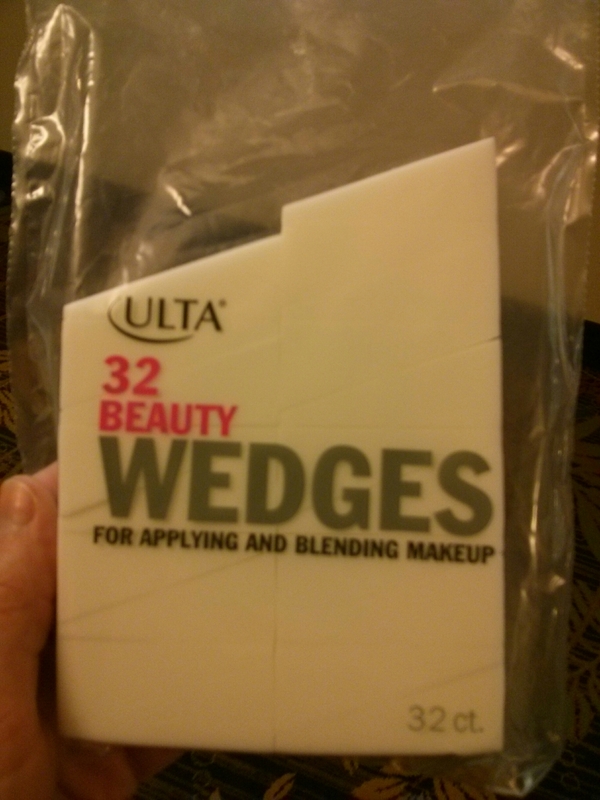 these little wedge sponges help me more evenly apply the makeup, avoiding a patchy or uneven look. i don’t really consider myself a makeup expert, but anything i can do to help keep my face clear and clean can’t be a bad thing, can it? plus, they make me feel ultra girly and classy, a great way to feel before whipping out the door and facing the world.